NEW!!! 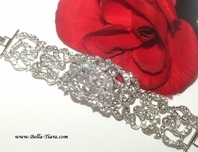 Majestic victorian Swarovski crystal bridal bracelet - SALE!! 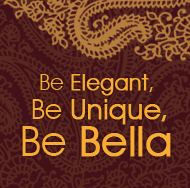 HOME / BRIDAL JEWELRY / Wedding Bracelets / NEW!!! 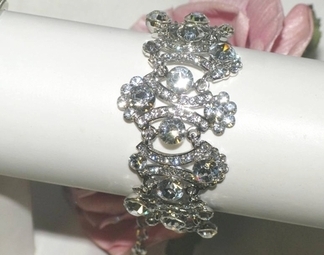 Majestic victorian Swarovski crystal bridal bracelet - SALE!! Made with Genuine Swarovskic crystals stunning look, measures approximately 1 1/4" wide 7" long with chain to adjust for the perfect fit.